NEW CASTLE, DE--(Marketwired - September 27, 2016) - Wilmington University announced that Executive Vice President Dr. LaVerne Harmon was unanimously approved by its Board of Trustees as the successor to current President Dr. Jack Varsalona, who recently announced his retirement, effective June 30, 2017. Harmon will be the first African-American woman to be named the president of a university in the state of Delaware. 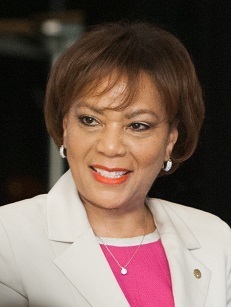 She began working at Wilmington University in 1989 and held numerous positions while earning undergraduate and graduate degrees from Wilmington University and a Doctorate in Higher Education Administration from the University of Pennsylvania. She has played key roles in the University's internal operations, strategic planning and growth since becoming its executive vice president in 2014. "Dr. Harmon has always shown great determination in all she has done and accomplished," said the Honorable Joseph J. Farnan, Jr., Chairman of the Wilmington University Board of Trustees. "Her service and capabilities have steadily prepared her to be the next president of this university. The board's unanimous approval of her reflects complete confidence in the wealth of experience and extraordinary skills she brings to the office of the president, the board and the University community. We look forward to her successful tenure." Harmon is a member of the United Way of Delaware Board of Directors and chairs its Women's Leadership Council. As a member of the International Women's Forum, she helped establish the Delaware American Council on Education Women's Network. Her numerous awards include the American Council on Education Leadership Award, the National Association of University Women Community Service Award, the Markevic A. Johnson Scholarship Foundation Woman of Distinction Award and the Phi Delta Kappa Educator of the Year Award. "I'm grateful for the board's confidence and trust in me to lead the University into the next chapter of its history," Harmon said. "It will be my privilege to work collaboratively with our talented staff and faculty to provide educational opportunities and ensure personal growth for students." Harmon will succeed Varsalona, who started at the University in 1987 as executive vice president and provost then assumed the presidency in 2005. 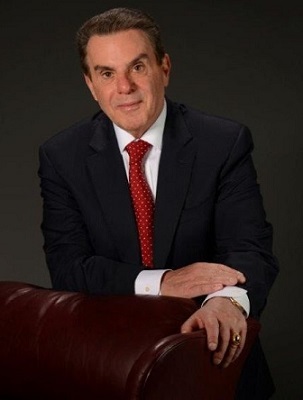 He has been an industry leader in both the public and private sectors and was a founder of the Delaware Association of Independent Colleges and Universities. Varsalona has served numerous nonprofits, including the Boys and Girls Clubs of Delaware, the Wilmington Renaissance Corporation, and Goodwill Industries of Delaware and Delaware County. He has received many awards as well as a senatorial tribute in 2015 from the 145th Delaware State Assembly and Sen. Harris McDowell for his dedication to providing opportunity through education. Under Varsalona's leadership, what was initially Wilmington College expanded its programming and gained university status from the Middle States Commission on Higher Education. The University's enrollment has grown to more than 21,500 students. According to The Chronicle of Higher Education, Wilmington University was the nation's second fastest growing nonprofit university for the 2004-2014 decade. "Dr. Varsalona's tenure as president has been distinguished by an unequaled vision and extraordinary leadership," said Farnan. "He is truly respected and admired by the entire University community." Varsalona is a strong supporter of his successor. "From her time as vice president of Student Affairs through her current position, Dr. Harmon has shown that she understands what is going on throughout the University," he said. "She was an adult learner with a full-time job, just like the majority of our students. She is now a brilliant administrator who leads with both knowledge and passion for the University's mission." Harmon feels she has benefited from working with Varsalona. "People are defined by what they do in life," she said. "Dr. Varsalona has steered our University's exponential growth, and all of us are indebted to him for his incredible leadership. He has always been a role model for me, a source of support, and a true friend. I'm humbled by the opportunity to follow in his footsteps, and regardless of what I may accomplish in the years ahead, I will always honor his legacy." Wilmington University is a private, nonprofit institution committed to providing flexible, career-oriented, traditional and online associate, undergraduate, graduate and doctoral degree programs. Ranked as the second fastest growing nonprofit doctoral institution in America 2004 - 2014 by The Almanac of The Chronicle of Higher Education, affordable tuition, academic excellence and individualized attention are hallmarks of the University that enable greater student success in their chosen careers. Dr. LaVerne Harmon will be the next president of Wilmington University by unanimous vote of the university Board of Trustees. She will become Delaware's first woman African-American university president. Dr. Jack Varsalona, under whose leadership Wilmington University has grown to total enrollment of over 21,500 students, announced his retirement effective June 30, 2017.